The same year Godard was cutting up cinema in A Bout De Souffle , Robert Bresson was channelling Dostoevsky for this guilty classic about a lonely narcissist (Martin Lassalle) who sidesteps society and morality for the frozen thrill of life as a compulsive pickpocket. 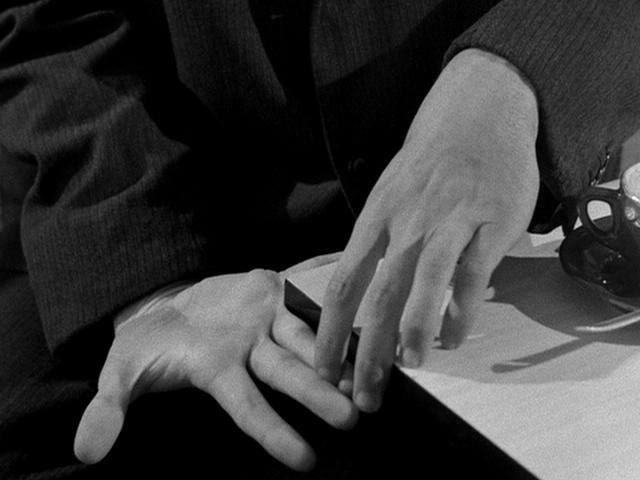 Even more than the deadpan anti-thesping, it’s the virtuoso thievery sequences (movement, disguise, distraction) that really mesmerise, with Bresson eroticising the sensuous criminality of Lassalle’s hands to the point where even the touch of a door handle carries a tingling charge. Finally, it’s the prison door that can’t be escaped – except through the salvation of a woman’s love. This sensitive, perceptive 2-discer begins with a wonderful 1960 interview with Bresson. (“Do you feel alone?” “I feel very alone.”) Better still is a documentary which tracks down Pickpocket’s ‘actors’ for a series of fascinating, immensely personal accounts of their time with Bresson and their lives since. A retrospective cast Q&A seals the best Bresson package on Region Two.